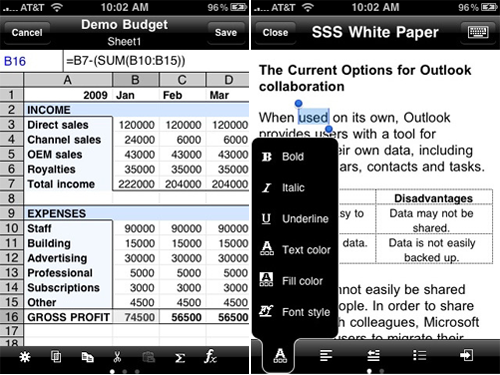 Byte² realizes how difficult it can be to take a risk on a $5.99 Office-based productivity app for your iPhone or iPod touch, which is why they have released a freemium version of Office² titled Office² Plus. Office² Plus is a free "try before you buy" Office-based app that allows you to view, create, and edit Word and Excel documents in order to give you the full document editing experience, or nearly the full experience. The catch with Office² Plus is that you can't save your creations without enabling the two features via in-app purchase. Office² Plus allows you to open and view tons of different files, including DOCX, XLSX, PPT, PPTX, PDF, iWork, HTML, PNG, and JPEG. 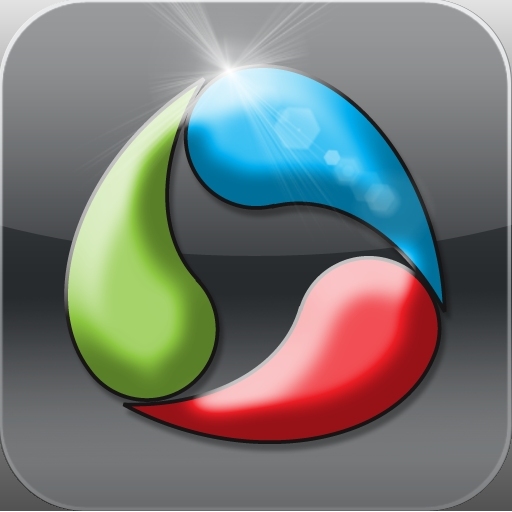 The interface is extremely straight forward, allowing you to create documents and spreadsheets in a snap. It features the ability to do this in both landscape and portrait views. Office² Plus also features automatic bookmarking to allow you to keep your position within each file when closed, and allows you to email files as attachments. Files can also be transferred to and from your iPhone via Wi-Fi or through cloud-based services, such as Google Docs and MobileMe iDisk, or you can mount your device as a drive and transfer files that way. 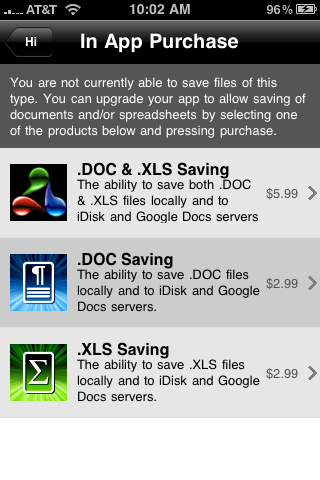 The ability to save Word (.DOC) and Excel (.XLS) files can be obtained in Office² Plus via two separate in-app purchases ($2.99 each), or as a package ($5.99). The package price is exactly the same price as the full version of Office². 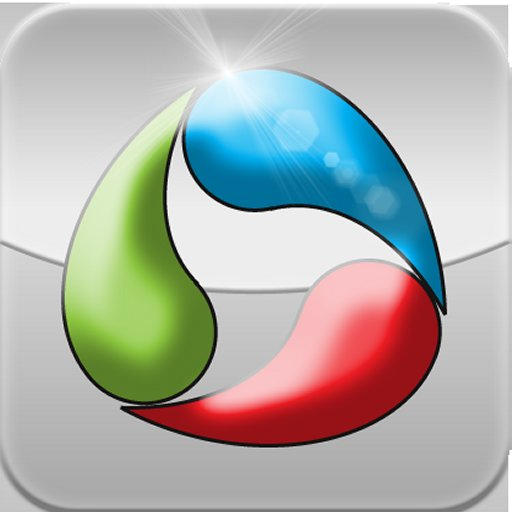 If you want to see what creating and editing Word and Excel documents feels like on your iPhone or iPod touch, Office² Plus is the way to go.